UEFA president Aleksander Ceferin has claimed that AC Milan's suspension from the Europa League, and subsequent reinstatement into the competition, is proof that Financial Fair Play has been a success. Milan were suspended from Europe's second-tier tournament in June, only for that decision to be overturned on appeal following a change of ownership at the Serie A giants. 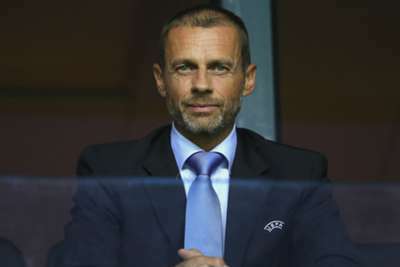 UEFA cited a breach of FFP and licensing regulations as the reason for Milan's ban, and despite the club's successful appeal, Ceferin insists that the rules do work. "The reason Financial Fair Play was introduced was first and foremost to ensure the financial stability of European clubs," Ceferin told Corriere dello Sport. "The rules helped many clubs to improve their financial stability, forcing them not to spend any more than they earned. "The result was an undoubted improvement in the health of European football. The system is independent and I think everyone must appreciate the fact that Milan's case proved Financial Fair Play works." Ceferin added that the onus is now on the governing body to ensure that the stricter regulations continue to be enforced, with a particular focus on agents' fees. "Now it is time to take the next step, which is why we recently tightened up the rules, increasing the transparency of clubs by forcing them to publish their financial information, including payments to agents. "There will be more transparency in transfers and I can assure every club will be judged on the same criteria. We'll also be ready to act with the aid of new financial indicators, which will allow us to more closely monitor the balance sheets. "I am convinced this is another step in the right direction to guarantee financial stability to European football." Milan had been due to kick-off their Serie A campaign against Genoa on Sunday, but that fixture has been postponed following the collapse of the Morandi bridge. 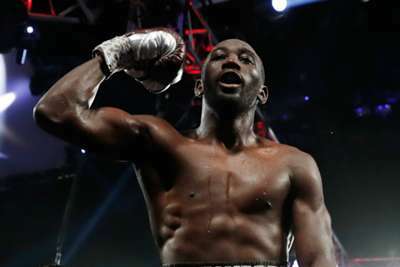 Saturday's bout came to an anti-climactic end after a shot below the belt left Amir Khan unable to continue against Terence Crawford.